When I first started chelating, I made the blunder of leaving Vitamin C out of my supplement regimen. It was strongly recommended, but somehow I just didn’t wrap my head around the importance of it until months into chelation. As soon as I realized my mistake and started taking it regularly, I felt a cloud lifting, and the edge was taken off my mercury symptoms. Why did that happen? What power does vitamin C have to counteract mercury’s nastiness? Vitamin C (in case you didn’t get the memo from Linus Pauling) is famous for being a super antioxidant, and I’ve learned that nobody needs antioxidants more than those of us who are mercury toxic. One of the ways mercury poisons the body is a process called ‘oxidative stress.’ Vitamin C is the direct antidote to this stress. It literally stops mercury in its tracks, halting damage to the body on a molecular level. So should mercury toxic people take vitamin C once a day? No! Once a day is not enough! Vitamin C should be taken several times a day for maximum effect. The body can only take in so much of it at a time–the rest is excreted unabsorbed. Taking 2,000mg once a day is a lot less effective than taking 500mg with each meal and at bedtime. Vitamin C comes in a couple of forms, the cheaper being plain old Ascorbic Acid. This is a perfectly fine form to take it in, especially if it’s taken with meals. Its acidic nature helps people who have low stomach acid–a common problem for the mercury sufferer. But if Ascorbic Acid doesn’t agree with you, there is a gentler form of Vitamin C available called Buffered C or Ester C that’s gentler on the stomach. No matter which kind you choose, don’t neglect to take your Vitamin C–especially when mercury symptoms flare up. 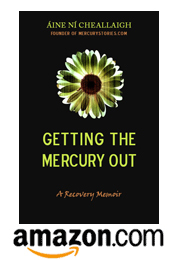 Increasing your dose and frequency of C when mercury comes calling can save you a lot of grief–take it from someone who learned the hard way…! ← What is the safest water to drink?